This case study of excellence focuses the experience of approx. 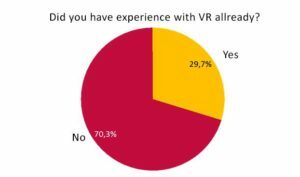 460 probands who tested an immersive reality application showcasing the famous church of St. Charles in Vienna, and gives an overview of the production process as well as an excerpt of the content of the questionnaire and its concluding outcome. KK Promo from Michael Klein on Vimeo. Immersive reality, photogrammetry, laser scan, virtual reality, museums, sites, vr -headsets, questionnaire, user experience, real -time applications. Widely considered the most outstanding baroque church in Vienna, as well as one of the city’s greatest buildings is the Karlskirche located at the boarder of the old town centre of Vienna. Build in 1716, the church was planned and constructed by Johann Berhard Fischer von Erlach and completed by his son in 1723. The impressive frescoes on the inside of the elongated ellipsoid dome can be viewed by going up to a plateau of a framework, which was build several years ago for renovation purposes and allows the visitor to see these wall paintings from near in approx. 60 m height. Since the Austrian national heritage agency demands the reduction of the plateau and its framework, other possibilities had been considered to substitute this attraction like an immersive virtual tour of the church which should also serve as a detailed and complete three-dimensional documentation of the site. In a first attempt, only the front part of the church, together with its two giant columns where processed and tested due to the high costs which would occur in the case of a complete 3d documentation of the monument. The second step of the project focused on the production of an immersive reality application, which allows the user to fly around the depicted columns and the surrounding architectural elements while being informed about history and meaning of these elements by a narrator. This step included the integration and preparation of the highly detailed 3d model deriving from a 3d laser scan and photogrammetric survey carried out by the project lead partner Arctron GmbH /Germany. A fortunate coincidence was the fact that the second project partner (7Reasons GmbH /Austria) was able to contribute the missing architectural parts of the church including its environment due to previous commitments to the surveying agency and the historic museum of the city of Vienna in high accuracy. The processed and finished real-time application was programmed, animated and mastered in the Realtime engine Unity3d and showcased with a robust hardware mount for the VR Headset, Audio , Video as well as an Multitouch table inside a side wing of the church. Since the main aim of the project was the testing user experience in conjunction with a VR Presentation of the church, we could convince the Group of Students and their Professor (Rd. Wolfgang Sovis), from the University of Economics in Vienna, to setup and execute a visitor’s survey in order to evaluate the usability and acceptance of such an application. 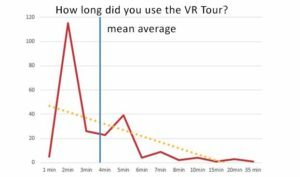 The query aimed to answer questions about the experience users already had with VR (if at all), how they experienced the show, including their status of health (dizziness etc.) 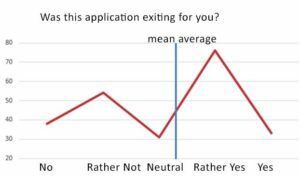 as well as a collection of demographic information but also questions about the willingness to pay for such applications. 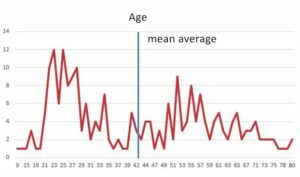 In all the query consisted of 18 questions and the answers where directly fed into a preinstalled database for the following evaluation. 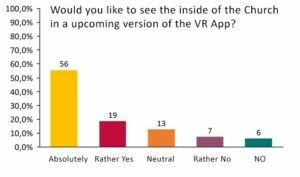 Figure 8, Did you hear about VR before? Figure 12, Did you enjoy this tour? 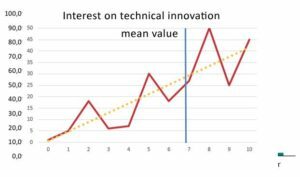 Figure 13, Would you like to see also the Inside of the Church in future applications? 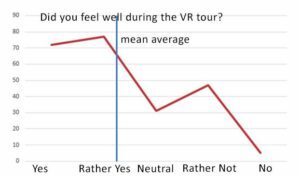 Figure 14, Did you feel Well /Unwell during and after the Tour? 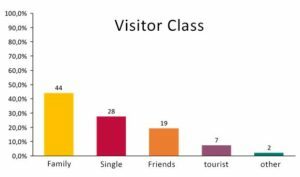 Taking the result of the query we now have a clearer view on the visitor’s behaviour in conjunction with VR Headsets and its context with storytelling and can learn from the reflections of the users which were broadly enjoying the test application. The main critics however were, that the existing hardware (VR Headsets) did not seem to be hygienic enough and for some probands the speed of the self-driven virtual camera was too fast causing dizziness. 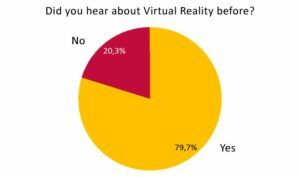 Summarizing the questionnaire, we would like to develop a robust, sustainable and hygienic prototype of VR Headsets which would be ready for mass usage in Museums and Sites and adjust the content to a more personalized experience through self-guided tours depending on the users age and interest. 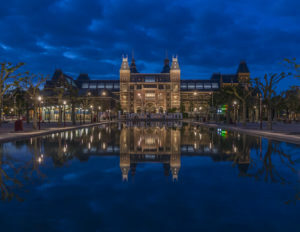 Also, the demand for extending the existing content is evident we will try to complete this project and come up with a complete tour of both, the outside and the inside of this astounding monument in the near future.